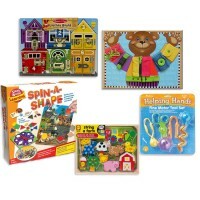 Practice opening 4 different locks with this unique Melissa & Doug's manipulative activity board. 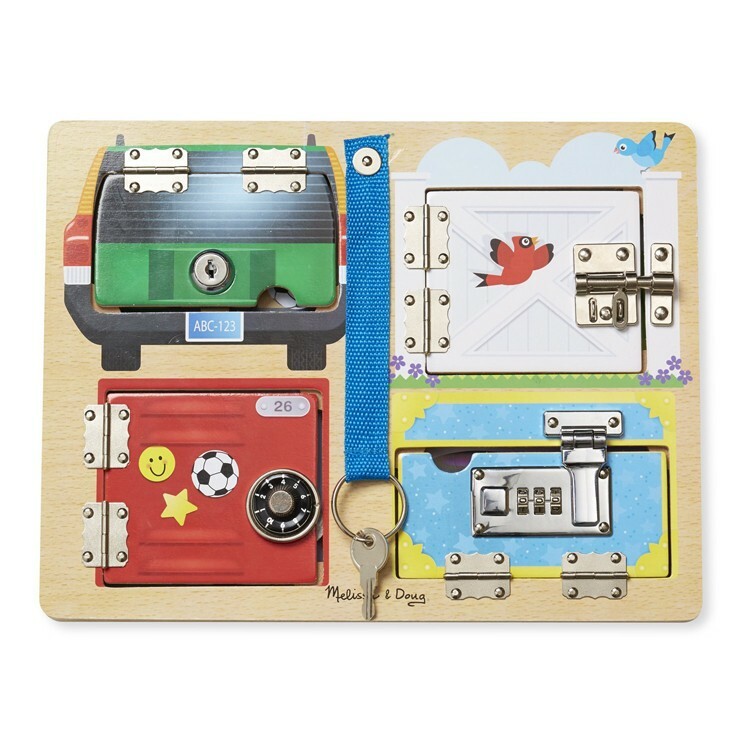 Unlock, unlatch, open the hinged doors, and see what you find beneath the lock panels! 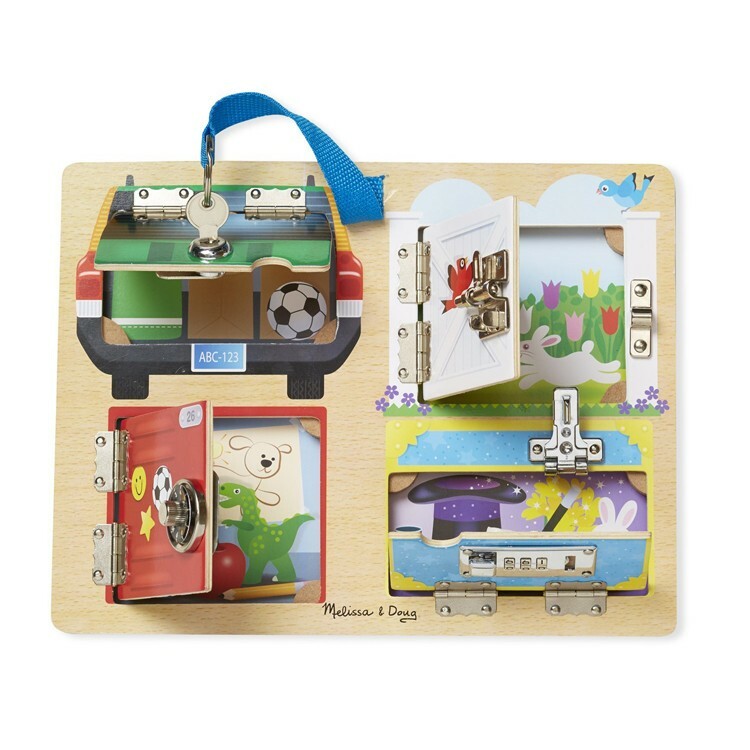 Lock & Latch Board Manipulative Activity Toy by Melissa & Doug is a terrific small motor developmental toy for toddlers and preschoolers. 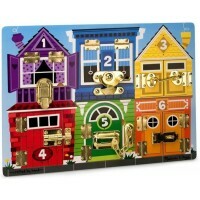 It is fun for the kids to lock and unlock the panels and discover hidden pictures behind these doors. 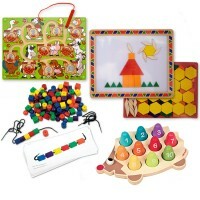 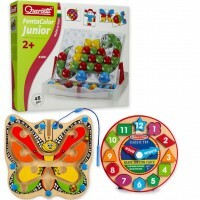 Lock & Latch Board Manipulative Activity Toy features a wooden board with 4 different types of locks or latches, colorful pictures and a key attached on a durable strap. 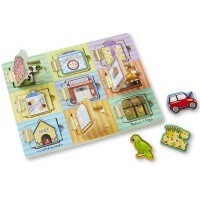 Each panel from this wooden activity board from Educational Toys Planet has its own theme: magic tricks, garden, school and car trunk. 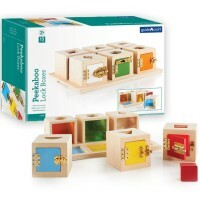 Reveal the secret behind each locking panel and practice manual dexterity with this terrific latches activity board. 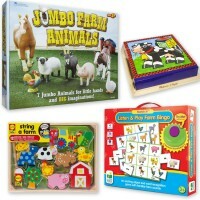 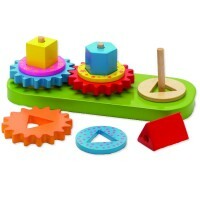 Dimensions of package 9.5" x 1.5" x 12.5"
Write your own review of Lock & Latch Board Manipulative Activity Toy.